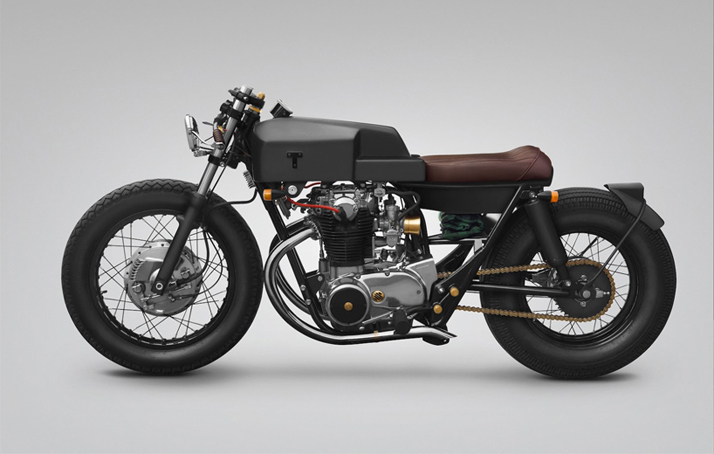 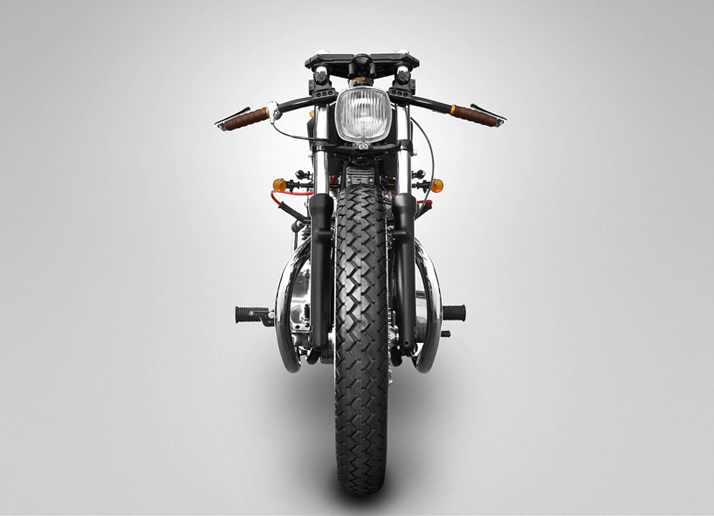 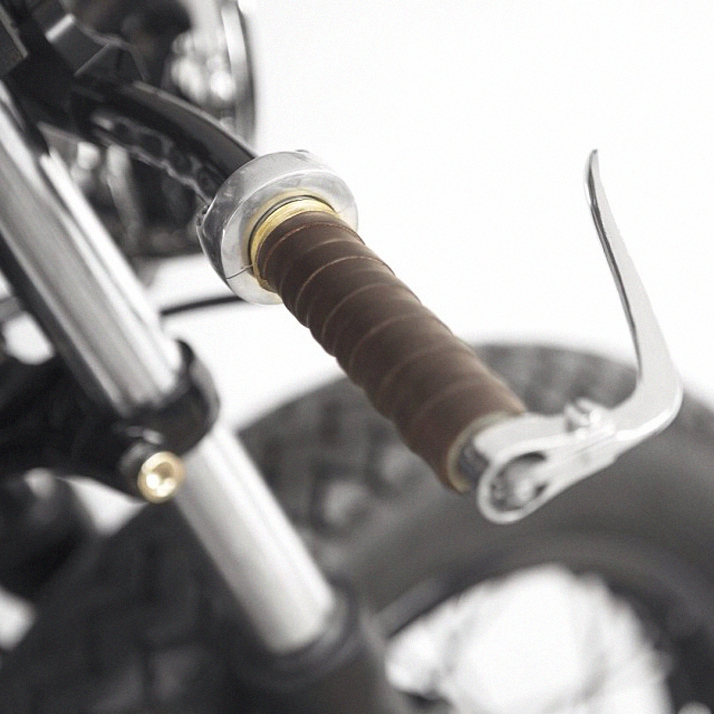 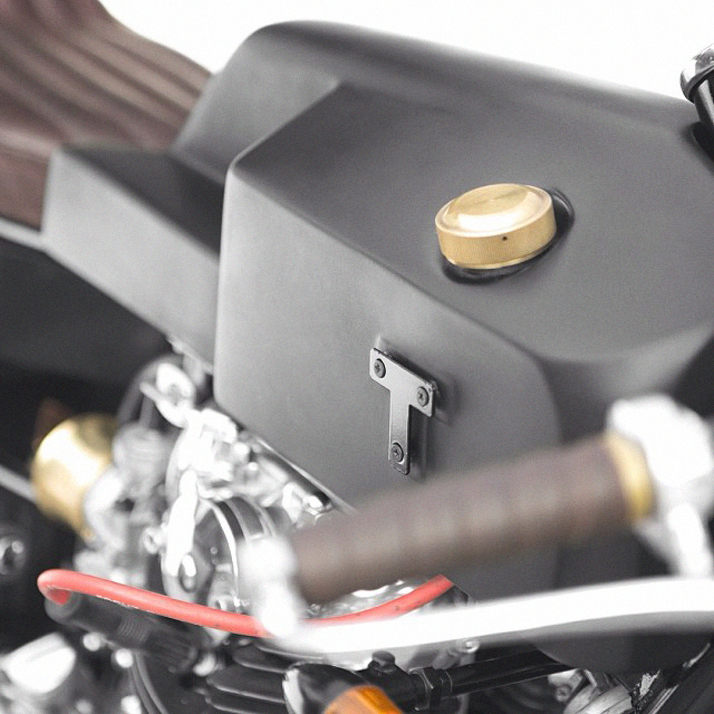 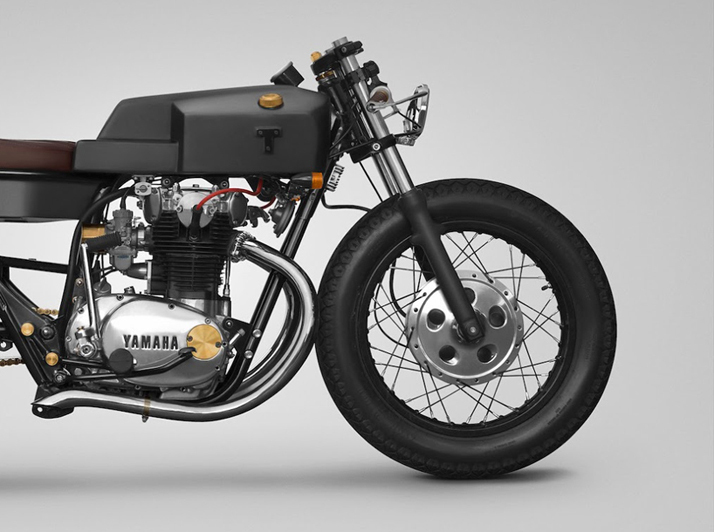 Indonesian Thrive Motorcycle re-imagines a classic 1968 Yamaha XS650. 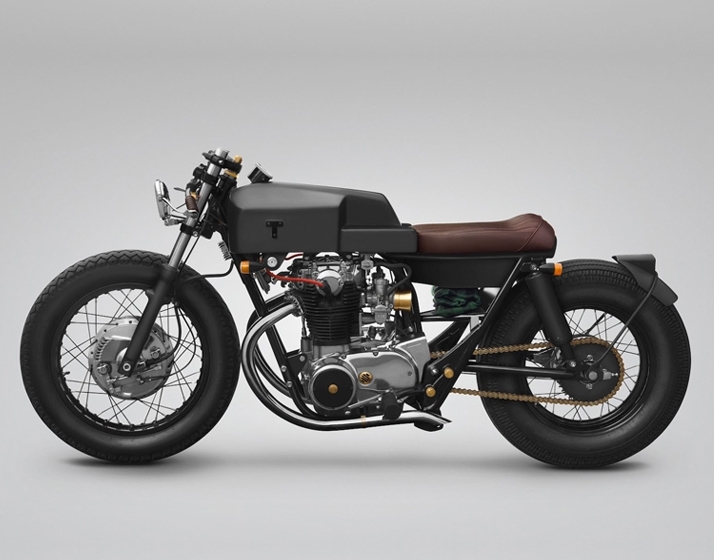 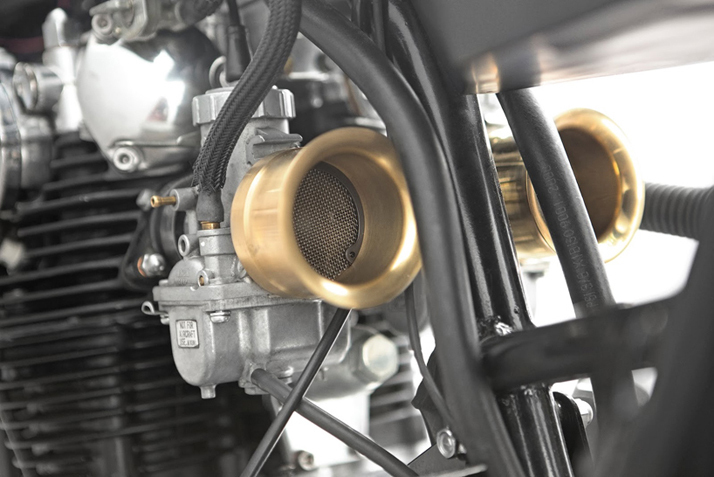 "Taking over a year to locate and obtain the bike itself, the transformation was completed in just two months, including a complete engine overhaul and hand-fabricated bodywork. 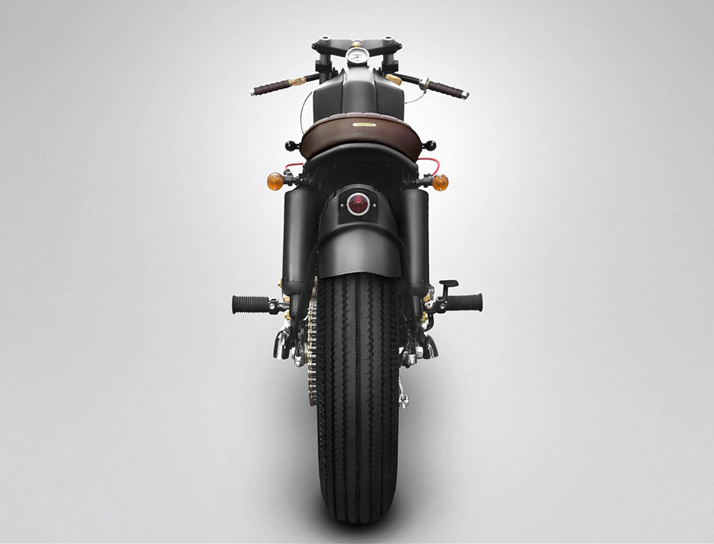 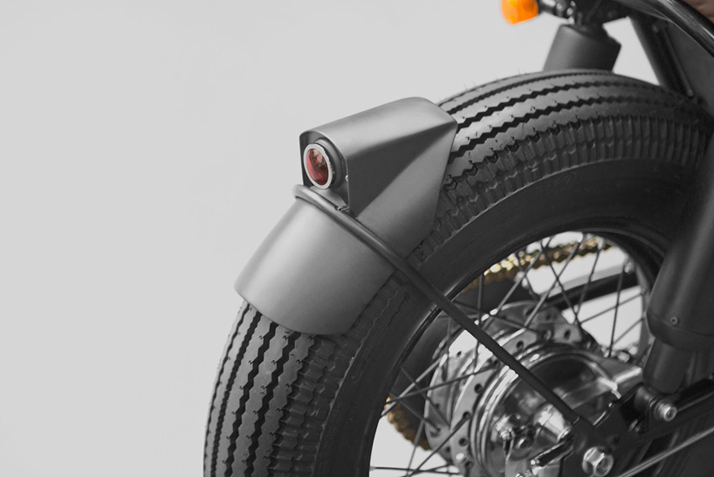 To create a more aggressive aesthetic, the wheelbase was lengthened using a custom swing-arm and the front end was slightly lowered; the colors have been reduced to shades of black, with brass and copper accents for the details. 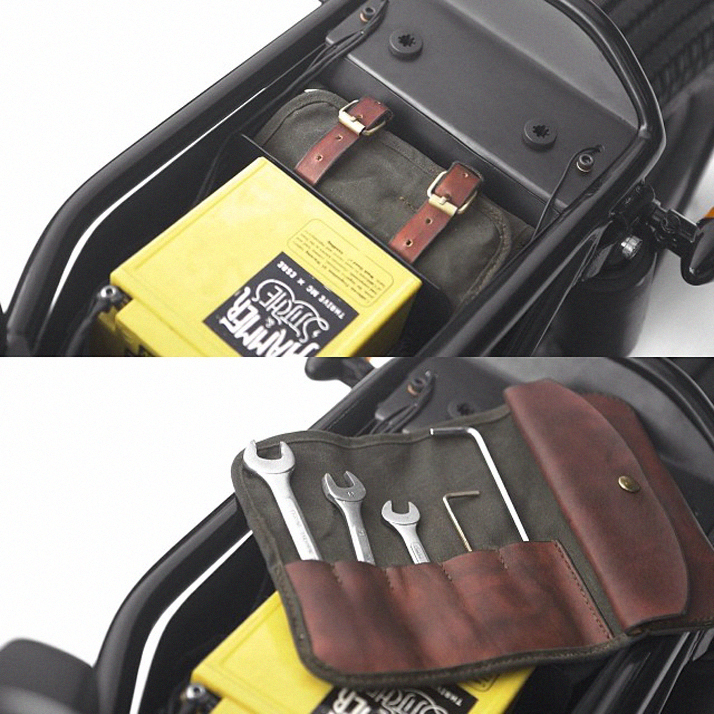 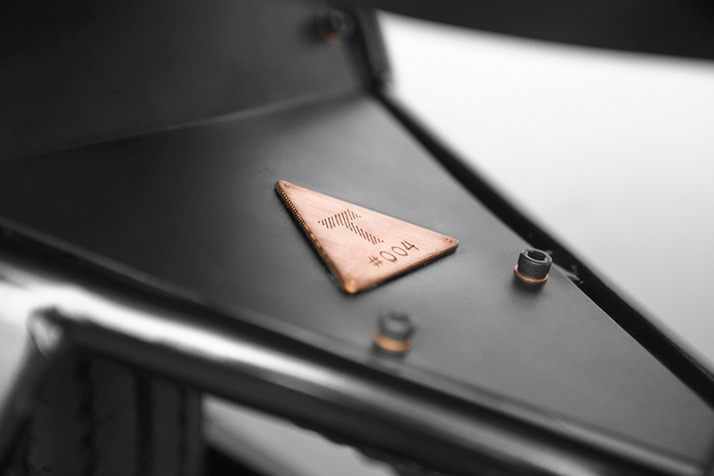 For functionality, a pair of leather belts have been fitted under the battery box, designed to hold a flannel shirt or jacket in place and a custom canvas bag containing the tools needed to maintain the XS650."